Bungie created a working version of multiplayer spaceship battles but ultimately decided that it would be too awesome to include in Halo: Reach. Remember that sequence in Reach when you have a dogfight in space against the Covenant? It kind of plays like those parts of the old Nintendo 64 space combat sim StarFox 64 where Fox McCloud would whisk around a relatively small area trying to take down a specific enemy. The space fight mission in Halo: Reach is definitely a far cry from the more open space battles of, say, Tie Fighter, but it was a nice departure from the run and gun gameplay of the rest of the campaign. Bungie's Creative Director on Reach, Marcus Lehto, said that the space combat was a darling of the studio and almost made it into multiplayer before the team ultimately decided that it was probably better saved for a different game. While the dogfight in Halo: Reach was nothing to really write home about, here's hoping that Bungie devotes some time to a space combat sim soon. 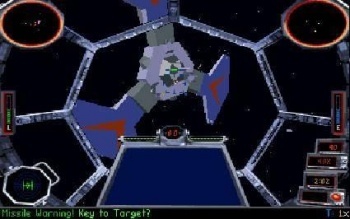 The genre hasn't gotten much love since the 90s, but it produced some excellent games like the aforementioned StarFox and Tie Fighter, but also X-Wing and the Wing Commander series. If any studio can repopularize the space combat sim, it's Bungie. And now that the company has signed with the Activision Behemoth, it may just have the resources to make it happen.